"A :09 second car that I could drive on the street...that's the goal!" stated the owner of this 1969 Wicked Purple Charger. 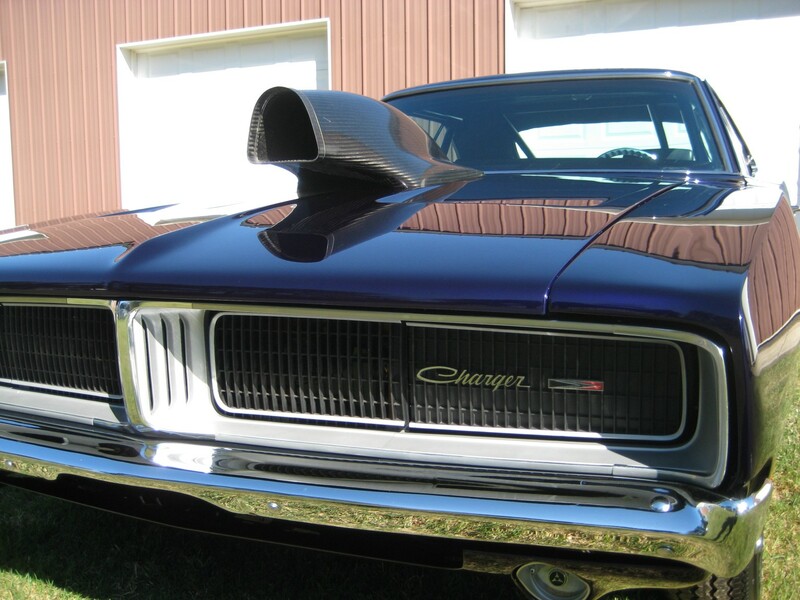 He wanted something different that he could either race, drive or show and this 1969 Charger is just that! It started life with a 383 and now has a 605 cubic inch, aluminum block Hemi. The back half has been altered to handle the big rubbers, yet the rear-end is still narrowed. It has a full cage, plus new frame rails that have been installed along with tubular front cross-members to handle all the power and the "race" portion of the car. When the motor simply didn't fit under the hood scoop, finding a unique scoop to handle the job became mandatory. The owner even built a model of the car and tried on a variety of different hood scoops since the Charger didn't come with one. When nothing on the market "did it" for him, Larry offered up a scoop once used on a Riley and Scott IndyCar. It's all carbon fiber - which ties to the many carbon fiber touches that Nash has added including the one piece dash and the rear panel. Before applying the deep, deep, wicked purple paint - that has just a touch of candy to it, all the lines were smoothed; no wiper stands, etc... The Charger is finished off with a handful of Orange anodized components including the motor mounts and shock hats. There is still work to be done on this unique beauty, however the owner is looking forward to wrapping it up along with his son and enjoying it for the summer. 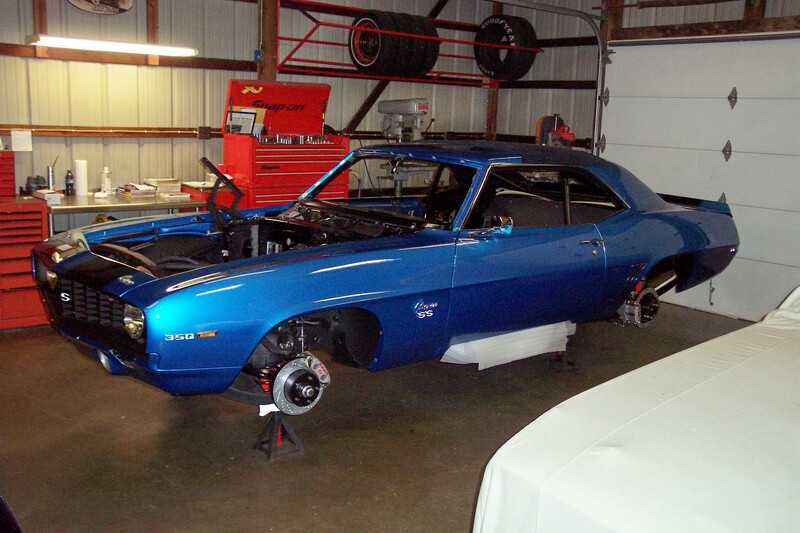 This blue beauty started life in California as a Camaro Coupe, LM-1 code car with matching numbers 350 engine and an original Muncie 4-Speed tranmission. A frame-off restoration, the owner has selected a few upgrades to complete this new package, including but not limited to: Power steering, power brakes, air conditioning, 12 bolt rearend, Baer disc brake conversion, tach dash with center clock and original console gauage package, and a stainless fuel tank and lines. 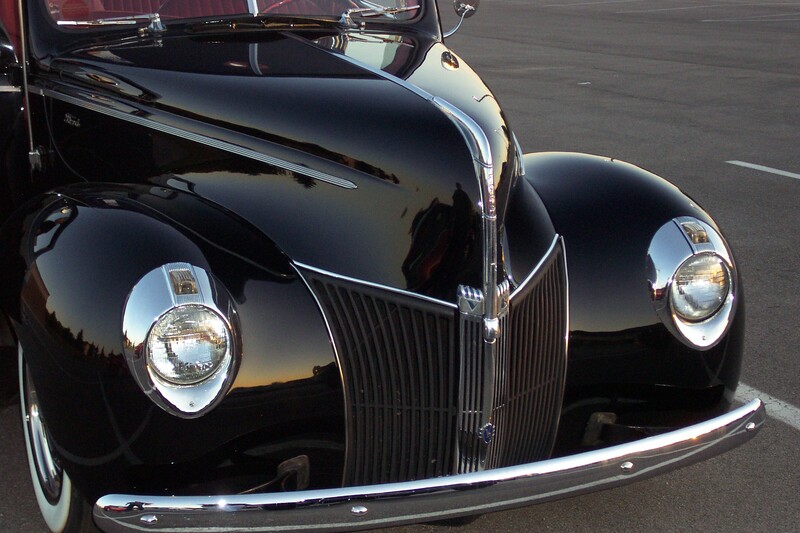 This impeccable restoration comes with the finest component and hardware upgrades. See the work still in progress in the gallery below. This customer owned classic was brought in for some cosmetic, mechanical and electrical upgrades. 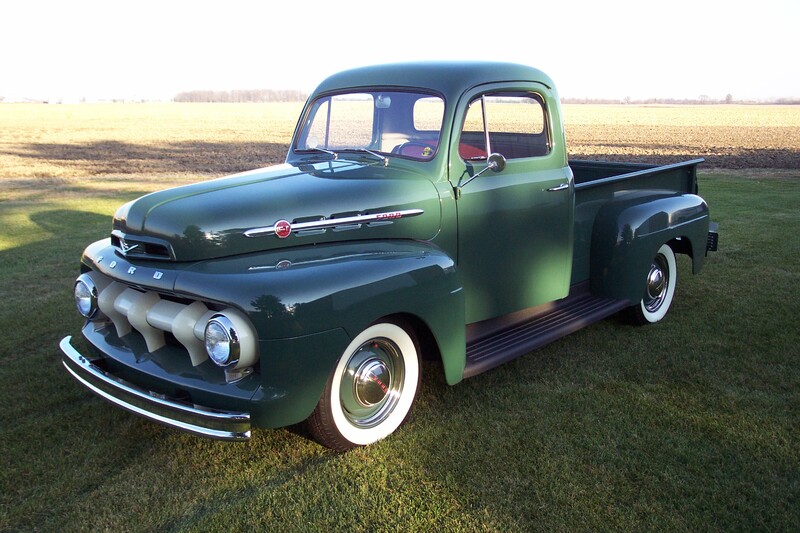 Features include; a complete and all original drive train combination, flathead engine, plus upgraded and detailed: engine bay, interior, running gear, running boards, front grille and brightwork, tailgate, box wood flooring, tire / wheel package, and addition of trailer hitch. The upgrades truly made it a pleasure to drive and enjoy. This work of art was brought in for engine conversion and numerous mechanical upgrades. Highlights include; Converting the engine from a flathead Ford to an early Chevrolet Corvette period correct engine. Also period correct include: Dunton cam grind, original cast GM intake manifold with period correct twin four barrel carburetors. It's fitted with GM replicated Corvette fuel line and air cleaner package along with a Powermaster generator, plus a custom aluminum radiator and Spal cooling fan. There are numerous interior modifications, electical upgrades, a battery relocation, drivetrain stabilizer and custom wheel packaging all working together to keep this classic, looking and driving it's best.